This year's annual JapanTown comes back to New York as a series of three festivals held throughout the city. Starting it off on July 17th, 2010 in the East Village is the Cool Japan festival that brings New Yorkers a taste of everything "cool" about Japanese culture. From robots to Japanese antiques, cosplay spectacle to mouth-watering Japanese food and sweets galore, visitors of all ages will be sure to feel as if they have stepped into Japan for day. Entertainment includes Dr. Robot, who will demonstrate the basics of robot engineering and allow visitors to make their own robot creations. Participants are wanted for the Cool Japan Fashion contest, which is seeking people dressed in creative interpretations of Japanese street style that represents modern, cool Japan the best. The winner of this contest receives a free round trip ticket to Japan. Reni Mimura, the popular cosplay singer making her debut in the U.S., is to appear in the festival in response to popular demand. 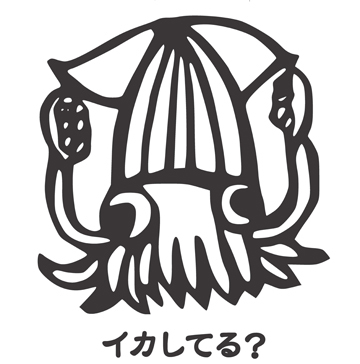 A scavenger hunt for the Cool Japan mascot, Squid, is also to be a key activity. The prize of the scavenger hunt is a $50 gift certificate to Kinokuniya bookstore. In addition to fun and games, the JapanTown Cool Japan festival offers visitors a great deal of Japanese street food such as fried soba, okonomiyaki, different varieties of Japanese curry, and Japanese sweets including yakimochi, ices, pastries, and Japanese ice cream. Food vendors include locals such as Otafuku, Café Zaiya. Curry-Ya, Go! Go! Curry!, and Go Restaurant. International brands such as Hisamitsu are to distribute samples of its products as well. Encompassing the old and new, The JapanTown Cool Japan festival welcomes everyone to celebrate the uniqueness of Japanese culture and heritage. Expect to spend many hours there!